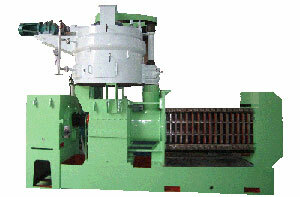 The two-shaft screw expeller SYZX24 is a new product which adopts our innovative principle and design, there are two parellel shaft, reverse rotating pressing shafts. It can get compression ratio and oil yield, the oil pass can be self cleaned. This machine is suitable for both low and high temperature pressing of vegetable oil-bearing crops, vegetable seeds such as teaseed, husked rapeseed kernel, peanut kernel, sunflower seed kernel, chinaberry kernel, perilla seed kernel, etc. all can be pressed. For the pressing of special material, it can achieve even better effect.